Thnkss bro....can u frst add act 5 ans as i have got lots of prblms in that part...can u plzz!? Sir plz add act 4 and 5 as soon as possible..It will help all of us. The above comments were made by a spammer. I have deleted the comments! I am extremely sorry for the harassing and absurd comments, I have blocked those users and flagged their IPs. I think this is a fake account. yes.. it was a Fake account! Well that wasn't me, It was some pervert using a fake account, who spammed the comment sections. I wasn't monitoring the comments for quite a while, I have already flagged and blocked him. r u from st.johns school?? 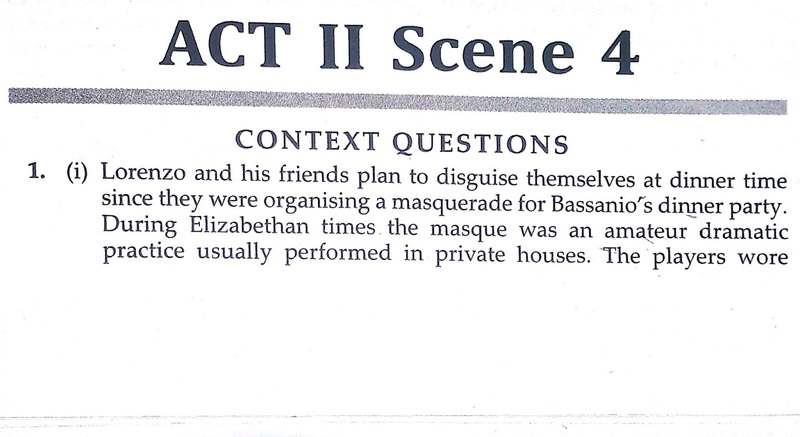 Act 2 scene 4, 2 extracts answers are completely different from the questions which are present in the workbook. 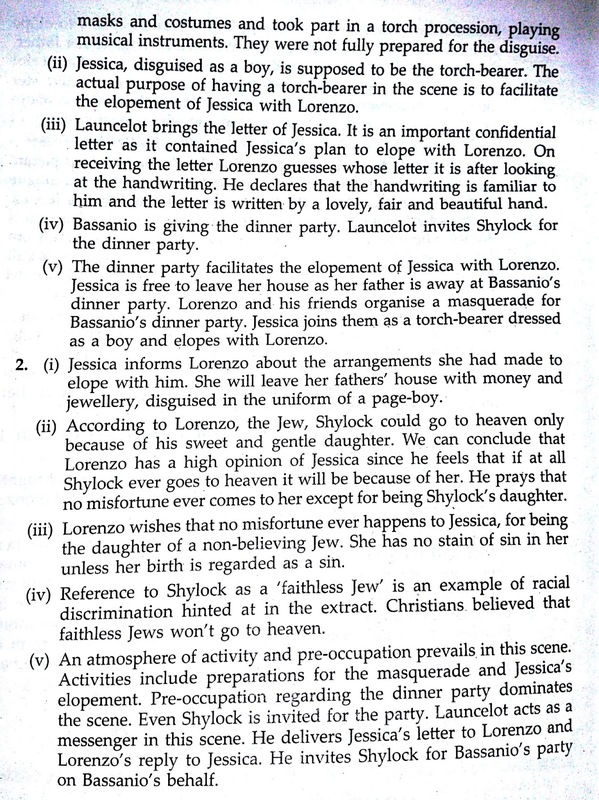 All the other answers match with the questions which I have written until now, in the workbook but this one's completely different.